Oct. 21, 2013 - PRLog -- In August 2013, SGS was awarded a contract by Scomi Oil Tools Ltd. to conduct tank calibration services for 20 tanks on-site at facilities in Ranong, Thailand. Throughout the two-month project, six SGS expert personnel will be on hand to determine accurate tank volume measurement in order to assure Scomi client confidence and prevent costly errors. Volume assessment will be carried out in accordance with the API manual of Petroleum Measurement Standards (MPMS), chapter 2, parts A and B. A subsidiary of Scomi Group, Bangkok based Scomi Oil Tools (http://www.scomigroup.com.my/core/oilfield_intro.asp) manufactures and markets drilling equipments, supplies related chemicals and offers comprehensive services to the oilfield industry. Having been impressed with SGS filed sampling monitoring services for a previous project requiring environmental services in 2012 and the SGS global reputation of excellence in certification services (http://www.sgs.com/en/Service-by-Type-Path/Certification....), Scomi Oil Tools chose SGS once again based upon the superior SGS experience and competence in the area of tank calibration. Calibration is the science of determining the exact true volume of a containment system corresponding to a certain measurement value and the key to obtaining accurate measurements of quantity. Without accurate calibration tables, even the best gauging systems and the most accurate manual measurement are of little value. With SGS as its calibration partner, Scomi Oil Tools is making sure it receives the highest degree of measurement accuracy in order to maintain customer confidence and eliminate the potential for consequential failures. Since accurate quantity measurement is crucial in worldwide trading, SGS is providing Scomi Oil Tools expert tank calibration services (http://www.sgs.com/en/Oil-Gas/Asset-Integrity-Management-...) (http://www.sgs.com/en/Oil-Gas/Asset-Integrity-Management-Services/Storage-Tank-Inspection-Audit-and-Calibration.aspx) to determine precise measurement and verification of tank capacities and volumes in support of guaranteeing contractual obligations to Scomi Oil Tools customers. SGS is a world leader in the physical calibration of all types of vessels such as static storage tanks, trucks, demountable tanks and ships including specialized gas and LNG carriers. In addition to traditional methods of tank calibration (http://www.sgs.com/en/Oil-Gas/Downstream/Refining-Process...) (http://www.sgs.com/en/Oil-Gas/Downstream/Refining-Processing-and-Supply/Calibration-Services/Tank-Calibration.aspx), SGS is at the forefront of implementing new calibration technologies. Cutting-edge techniques like laser distance technology allow for scaffolding-free calibration of ship and shore tanks, keeping additional cost and disruption at a minimum. 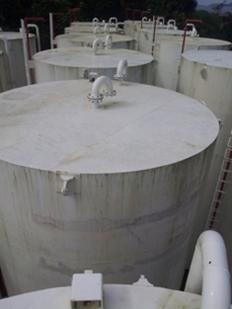 SGS experts have also gained deep knowledge in the calibration of vertical shore tanks, rigid prismatic tanks, membrane tanks, horizontal cylinders and spherical tanks. SGS calibration experts establish capacity tables, issue certificates of accuracy and implement computer software to ensure every client reliable volume determination. A leading supplier of inspection, audit and calibration services, SGS offers unparalleled expertise, state-of-the-art technology and a global reach making SGS the first choice among industrial clients needing to secure the safe storage of chemicals, petroleum products and liquefied gases. The SGS service portfolio includes comprehensive inspection, audit and calibration services for both above ground and underground storage tanks.